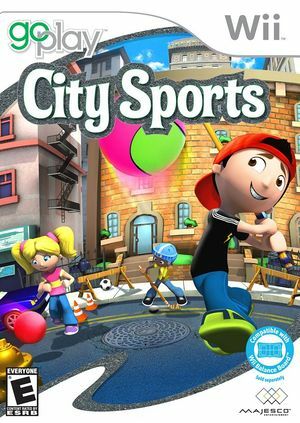 Go Play City Sports lets players experience six classic street games in their living room. The all-new sports compilation includes stickball, kickball, handball, rooftop hockey, shootout soccer and jump rope. Players use the intuitive movements of the Wii Remote and Wii Balance Board to dodge obstacles like manhole covers, fire hydrants and parked cars as they compete with up to 4 players to earn trophies and unlock new courts and equipment. The graph below charts the compatibility with Go Play City Sports since Dolphin's 2.0 release, listing revisions only where a compatibility change occurred. This page was last edited on 11 January 2018, at 11:46.